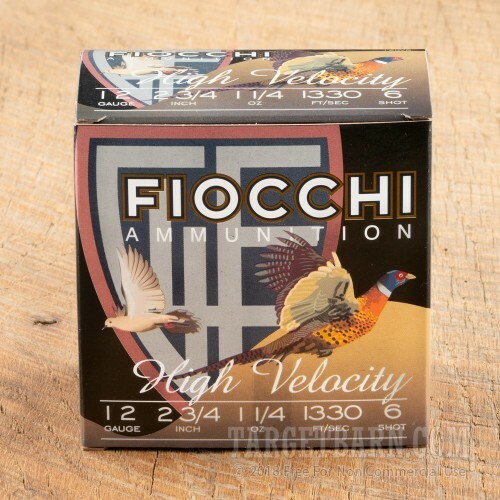 One of the oldest names in the ammunition industry Fiocchi Munizioni was founded in 1876 in Lecco, Italy. 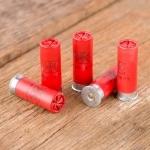 The company has an American subsidiary located in Ozark, Missouri that produces ammunition for the U.S. market. This package contains 25 rounds of Fiocchi High Velocity 12 Gauge ammunition. 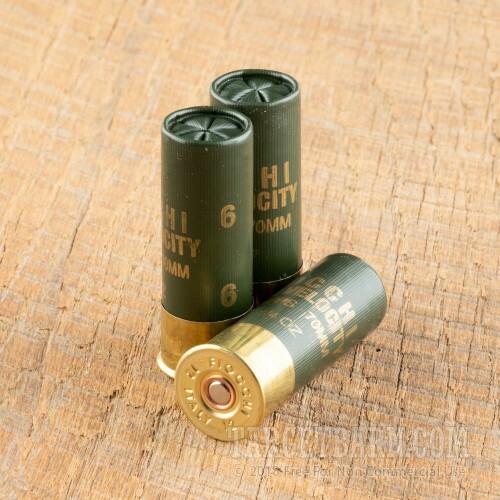 Each 2 ¾ inch shotgun shell is loaded with 1 ¼ ounces of #6 lead shot. 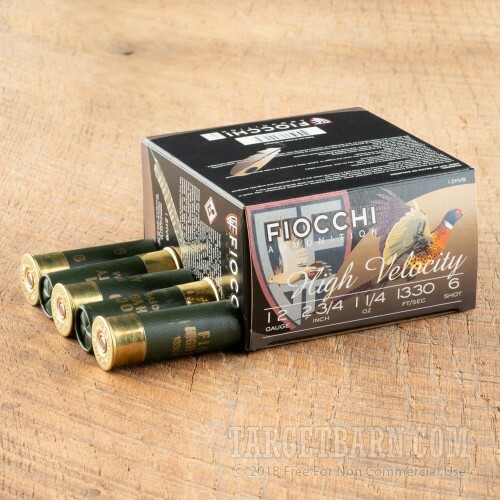 These high velocity loads are designed for small game and bird hunting and have impressive knockdown power at medium range. This new production ammunition features pre-fractured wads to sustain reliable shot patterns and some of the best propellants on the market. Each round delivers a consistent muzzle velocity of 1330 feet per second. Built with quality components, these shotgun loads deliver consistency and accuracy and a value price.